We are upgrading Inkybay Product Customization app every month, with new features and options as our customer request. We always working to get new and exciting features to increase your business benefits by using Inkybay for your Shopify store. This time we introduce additional conditional product options for Shopify to sell configurable products with additional option price. 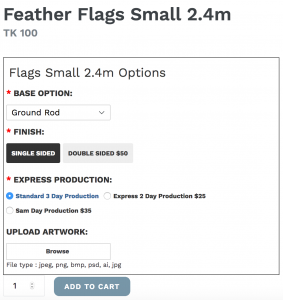 With Inkybay Product Customizer now you can add an unlimited number of custom product options in unlimited combinations to your Shopify product pages, including file uploads (as attach), dropdowns, text inputs, radio buttons, swatch, and checkbox options to provide the options you need to sell your products. 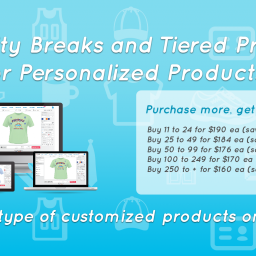 Now you can offer any additional product options for your customized products before customer goes to personalize the product using inkybay product customization tool. 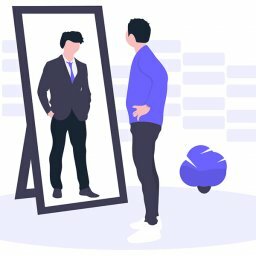 And you do not need to use any other app to offer product options for selling the customized product in your Shopify store, it’s built in with Inkybay – Product Customizer. Even you can use the Inkybay product options for non-customizable products in your store. Add unlimited options/option sets to product pages without worry about the variant limits in Shopify! Add options in various type, ex: file uploads (attach file), radio buttons, checkboxes, input text, long text, swatch (single or multi-choice) and dropdown. Easy batch applies options to any products by “Product type”, “Vendor”, “Tags”, “URL/Handler” with one click. Apply unlimited condition and sub-condition with easy child option creation. Add any additional pricing for every option. How Inkybay product options work? Managing unlimited conditional options and option sets. Create unlimited option Set: Navigate to Inkybay app admin >> Products tab. Now there is a new feature added named “Product Options Set”, Create new option set to add options under the created set. 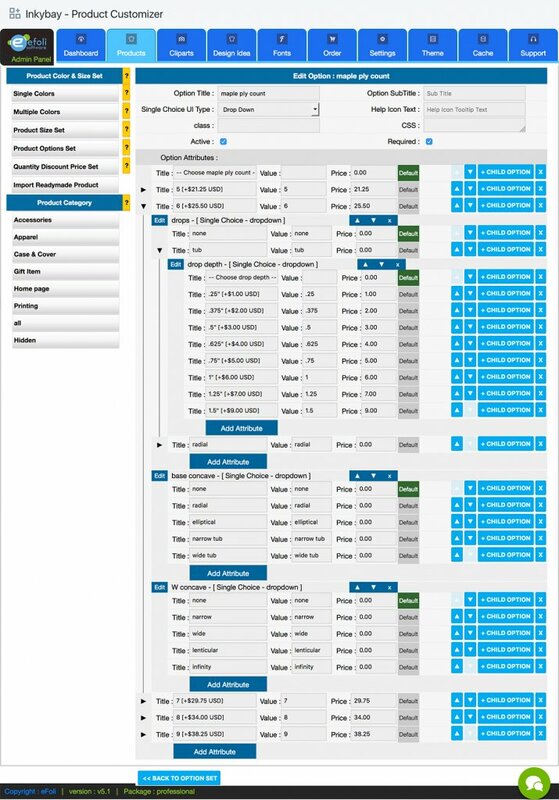 Apply created option set to bulk products by Product type, vendor, tags and handle. Add new options under option set with option title, subtitle and option type. Add unlimited conditional child options under options. Add any additional price for options. Instant preview in admin as you created how it will look on the front end. Required (if you this field as required). *** This new options feature will be available with Inkybay Product Customizer (Advance and Professional plans). Don’t have the Inkybay app yet? Click here to download the Inkybay – Product Customizer app and to view all the other amazing features you’ll get. During your 14 days free trial, you can try the starter, moderate, advance and professional version for free!